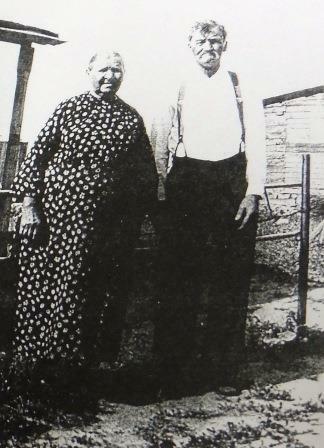 Frank, the son of Andrew Weber Sr. and Catherine Dobbler, was from Liebenthal, Russia, and come with the first group to arrive at what is now Liebenthal, Kansas, on February 22, 1876; it was his sixteenth birthday. Elizabeth was born to Adam Kreutzer and Elizabeth Graff (or Paul) from Liebenthal, Russia. They were also with the first group to arrive at Liebenthal, Kansas. She was fourteen years old. Frank and Elizabeth were united in marriage on February 17, 1885; nine years after they arrived in this country. Frank had 80 acres of land, starting one quarter mile east of the bridge – east of Liebenthal – and extending one half mile east along the south side of the road. The buildings were on the west end of this land, on the west side of the hill; the barn is still there. The Weber family lived here in the early nineteen hundreds. He also had a quarter section of land, one and one half mile east and one half mile north of Liebenthal on the east side of the road. 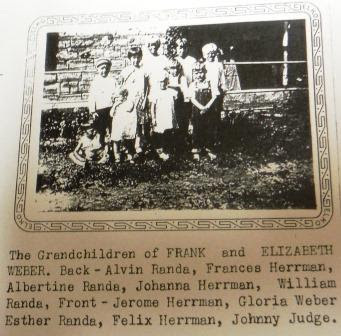 Tragedy struck early and repeatedly in the family of Frank and Elizabeth. Their daughter Brigitta, born January 1892, died when only one year old. 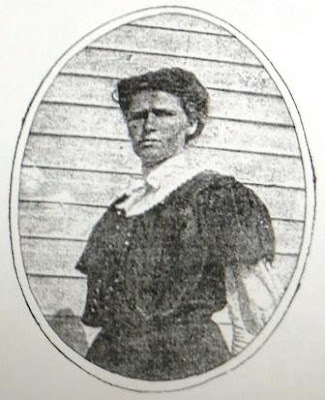 Elizabeth, born August 1893, died at age 12. 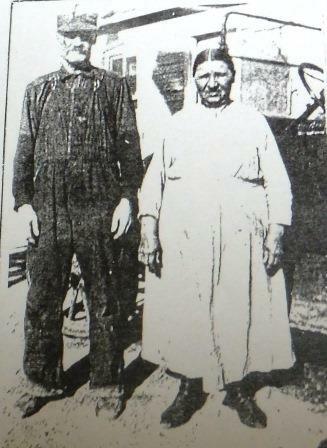 In 1918 the Spanish influenza took the life of Anton Herrman, the husband of Mary. In 1902 the twins, Ignatius and Alexander, died shortly after birth – they share a common grave. The last one born, Aloyius, 1907 died at age one. In the late 1920s or early 1930s they moved to Liebenthal where they spent the rest of their lives. In his 70s he still did common labor and some wheat hauling with his Ford Model ‘T’ truck. He grew his own tobacco in the back yard, dried it, and in the winter cut it up for himself and his card playing friends; it was their winter entertainment. This tobacco was so unforgettable strong that it became a legend in town. With these same friends he went fishing in the nearby creek and river; for the sport and entertainment, but mostly for the necessity, in the 1930s food was a luxury. They lived in a small limestone house, on the north side of the first street north of the church, the second lot east of US 183. Like so many others, their humble home never had running water, electricity, or modern heating. In their later years there would be one more tragedy that would tear deep into their hearts. 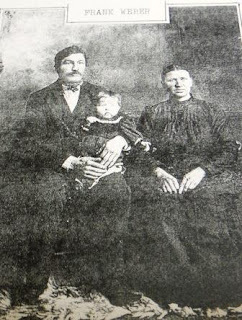 The youngest living child, Vincent, born August 15, 1905 was shot to death in Kansas City, in an armed robbery at a soft drinks bottling plant, where he was employed. It was August 14, 1932; he was twenty seven years old. His father, Frank was 72; his mother was 70 at that time. Frank died from the second of two strokes, the first left him partially paralyzed, but with the help of a rope suspended from the ceiling, he could lift his body enough to get out of bed and go his way. Frank died July 18, 1941.
floor in front of her pot-belly stove that she was preparing to light that morning. She died of heart failure at age 80 only eighteen months after her husband Frank died. Katy Weber / Later married to John L Herrman Jr.